After the dome has locked down Metropolis, Metallo takes a shot at overtaking the city. Fortunately the Justice League International puts a stop to it despite their missing super powers. When the dome is lifted, their powers return only to face some heavy hitters from Kingdom Come! 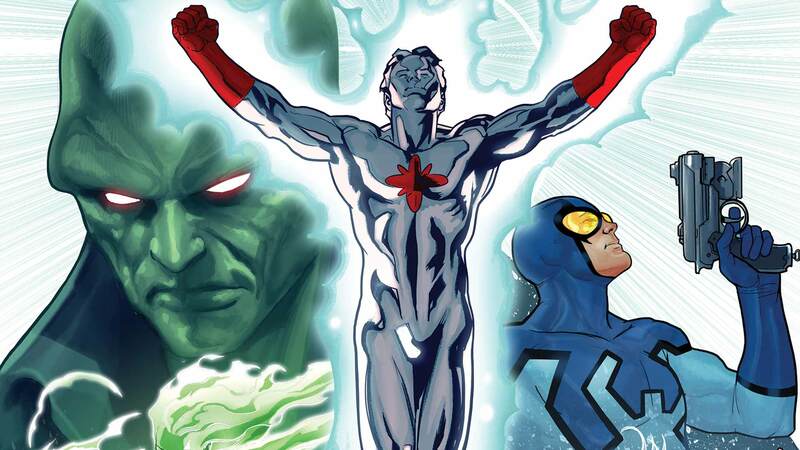 In the absence of Booster Gold, who do you think makes a better leader, Blue Beetle or Martian Manhunter and why? Let us know in the comments below! For more on the team and their personality conflicts, check out CONVERGENCE: JUSTICE LEAGUE INTERNATIONAL #1 (in stores on April 15).